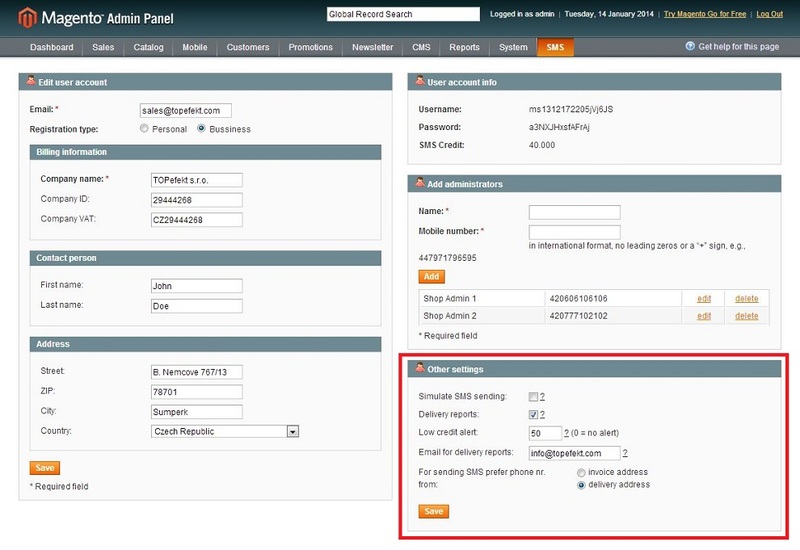 Move the mouse over the SMS tab in Magento main menu and choose Settings - Edit user account. Simulate SMS sending - allows you to test SMS sending for different Magento events, before you start to use them for real. If checked, SMSs will not be sent to the recipients but only displayed in the SMS History tab with special status "ERROR - SMS SIMULATION" !!! Email for delivery reports - displays information of SMS delivery status in the SMS History tab (keep this option CHECKED to see the actual SMS delivery status).